Nate scanned the outlying pastures and the one road leading through the countryside and into the village. An old woman hobbled along with a tall walking stick, a cloth bag slung over her shoulder. Even from this distance, he guessed it to be the old healer Mrs. Stanley collecting herbs. He gave her a quarterly allowance to tend to the poorer families in the village. The others paid her by coin or goods. Some of the tenants didn’t like her coal black eyes and thought her more witch than healer, but the closest physician was fifty miles away. “How long did you say you were staying?” he asked, looking away from the road. “A few days at the most. I’m on a business errand and headed to the weaving mill in Glasgow. My cousin wants to add cotton to the wool and flax production.” Gideon waved a hand toward the sheep. “My father says we have the raw materials we need and importing cotton will be less profit and more risk. I’m going in his stead to get the details and make a decision.” “I don’t think I’ll ever be able to thank you enough for advising on that investment in the cloth factory. It was the beginning of our family’s return to society.” If he were a demonstrative man, Nate would give this man a bear hug. “Anything I can do to in return, remember I am always here.” “Stop! It’s called friendship. I consider you one of the few men I can trust. Now, shall we go see what drink Maxwell has stored in the cupboard?” Gideon tossed the reins over his black gelding’s neck. “If we are very lucky, his wife will have some fresh bread butter pudding. That woman can do miracles in that tiny kitchen.” “I’ll race you to the top of the hill just above the village.” Nate put a foot in the stirrup and then cursed as Gideon spurred his horse and took off. “You whey-faced scoundrel. Do you cheat at the tables too?” he yelled, jumping into the saddle and kicking his bay. Nate gained on Gideon, who applied to the crop to his horse and pulled ahead once again. Both men broke a sweat along with their mounts as they crested the hill. A black coach, pulled by two pairs of grays, trotted along the road below. The village of Pendle did not get many visitors, especially in a fine carriage. It carried no crest and wasn’t the mail, so it poked Nate’s curiosity. Were they lost? Or were they heading to Pendleton Estate? Ahead of the unidentified coach, Old Mrs. Stanley was still making her way slowly home. As she approached a patch of woods, two young men emerged and approached her. Nate eyes narrowed as he studied the duo. “Those two lads don’t look familiar.” Mrs. Stanley flapped her hands at the newcomers and shook her head. The two males assumed a crouched position with their arms out at their sides and circled their prey, preventing escape. One man tried to grab her bag, and the feisty healer hit him in the head with her walking stick. “Why those bloody footpads!” Nate dug his spurs into the gelding’s flanks and tore down the hill, Gideon close on his heels. As they galloped down the hill, the carriage pulled to a stop. 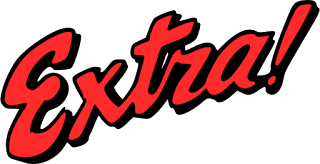 One of the assailants fled while the other turned his attention to the new arrivals and pulled a pistol. A woman in a deep blue velvet cape and bonnet emerged from the coach. A shot rang out and the driver grabbed his shoulder, dropping his whip. The woman snatched it from the ground, picked up her skirts, and ran toward the ruffians. To his shock, the slight female raised her arm and flicked the whip, slashing the scoundrel until he dropped his weapon. The driver of the coach must have been in shock also for he sat frozen in his high seat. “By Christ, an avenging angel,” shouted Gideon from behind. “Who the devil is she?” Nate had no idea, but by God he would find out. He only hoped she didn’t turn the whip on him. Giveaway Details $25 Amazon Gift Card or Paypal Cash Giveaway Ends 3/21/19 Open only to those who can legally enter, receive and use an Amazon.com Gift Code or Paypal Cash. Winning Entry will be verified prior to prize being awarded. No purchase necessary. You must be 18 or older to enter or have your parent enter for you. The winner will be chosen by rafflecopter and announced here as well as emailed and will have 48 hours to respond or a new winner will be chosen. This giveaway is in no way associated with Facebook, Twitter, Rafflecopter or any other entity unless otherwise specified. The number of eligible entries received determines the odds of winning. This giveaway was organized by Kathy from Clean Wholesome Romance and sponsored by the author. VOID WHERE PROHIBITED BY LAW. With an uplifting message and vibrant illustrations, this tale is filled with inspiration for every child that has ever forgotten...just how bright they SHINE! Children adore this fun adventure that is layered with relatable lessons. Shimmer the Glowworm has a low glow and sets off on a journey hoping to find her glow out there somewhere. Each time Shimmer meets a new friend, she inspires them. Ollie the Owl recognizes that we all have inner wisdom and we can share our ideas with others. Cray the Chameleon realizes how special his uniqueness is. Kiki the Kangaroo understands the importance of expressing her talents rather than downplaying them. Scout the Raccoon discovers the value of exploring new things and not giving up. 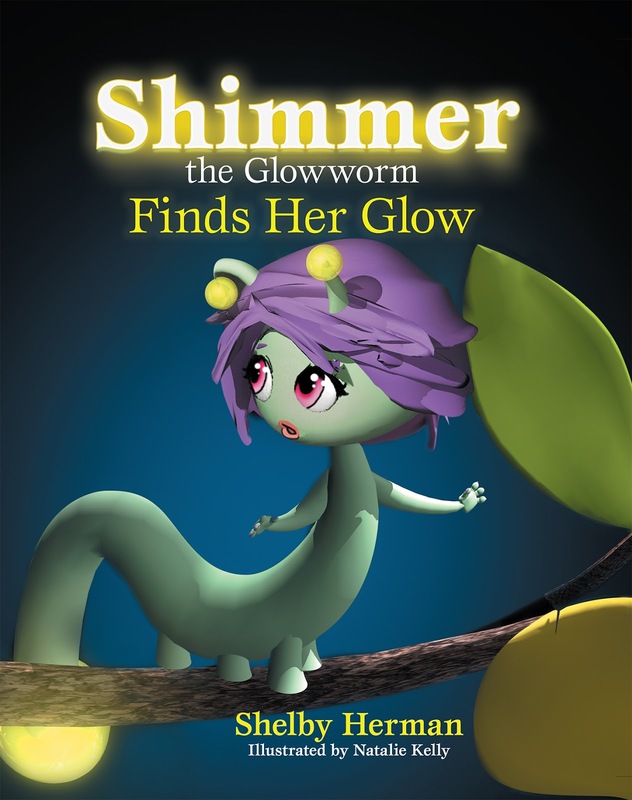 As Shimmer the Glowworm heads back home, she realizes that when she encourages others to SHOW YOUR GLOW, her glow shines the brightest! The theme song SHOW YOUR GLOW further enhances the message. production of Shimmer the Glowworm Finds Her Glow. oneness; that we are unique and special individually and also an indispensable part of the whole and as such, to value ourselves and others for who we are and for our gifts. Shelby lives in Southern California where you can often find her at the beach with her pink dog Roxy, where she finds inspiration everywhere to write and create things. She is currently working on the musical digital interactive book to be released spring 2018. The second Shimmer the Glowworm adventure is getting ready for release soon. Shelby hopes to continue to inspire each one of you to SHOW YOUR GLOW! Whenever Catherine had observed anomalies at Twickenham Manor, they’d always seemed to come from upstairs. Since the first time Catherine had toured the house, she’d felt a pull to seek out whatever was up those stairs. Dead? The comment brought a macabre feel to the evening, and Catherine’s curiosity-itch flared. She peered at the stairs again with narrowed eyes; she had to investigate. But, if Aunt Nellie were to discover Catherine up there, would she be banned from coming to Twickenham again? She reminded herself that “curiosity killed the cat.” In her mind, her grandmother’s voice finished the old adage, “But satisfaction brought him back.” Still, Catherine needed to ask herself if the risk would be worth it. These balls had become the one bright spot in her life. If she were to lose them too . . .
Then the ever-present pull gave a stronger tug, the sense that there was something else going on and she must investigate. The American woman had said “they” were dead. Catherine was a doctor. Surely she had a responsibility to investigate. Glancing to make sure she was alone, she picked up her skirts and began the climb. Winded by the time she reached the last landing before the fourth floor, she paused to catch her breath, vowing to start exercising regularly. Catherine had been blessed with a fast metabolism, so people were forever thinking she was fitter than she was. She climbed the last flight. The hallway was unremarkable, lined with paintings. Listening for the sounds of movement, she examined the portraits as she went down the hallway. She heard nothing, and she didn’t smell blood. One door stood open, so she let the tug lead her inside. The long room held nothing but more paintings. How odd. There were a few chairs scattered around, but it didn’t look like it was meant to be a regular gathering place for people to sit together and talk. Most of the pictures were busts of individuals, but in the center of the room hung a large painting of five people, three women and two men. Catherine blinked. It was the Americans, and their painted images wore the same clothing the five had on tonight. She shivered. The young man she’d danced with hadn’t attended the Regency immersion vacation, having only arrived that day. When had someone had time to paint him? She’d also never heard that Twickenham had an artist on staff. She studied the rest of the pictures in the room. Some were dressed in Regency clothing, but there were many others that spanned several eras. The one with the Americans was the only picture of such a large group. Whoever had arranged the paintings lacked any sense of design, leaving large sections of the walls empty. That pull came again, as though Catherine had a string attached to her chest that drew her. This time it was to a portrait of a man placed to the right of the one with the Americans. Catherine came to stand before his painting, wondering who he was. He appeared to be a little older than she was with a few silver strands at his temples. He also had what she’d call a regal bearing. She worked with enough surgeons and specialists who were used to being in charge, and this man had that look about him. He also wore an expression of someone with a fierce determination, the type of man people would steer clear of. It’s hard to fit in when you work in a mostly male world, let alone achieve your goals. Women in tech - as in many areas of business - are in the minority in every meeting. It’s difficult to find our voices in a room full of men. Even when we’re ready to share ideas, we often have to shout to be heard, trusted, and respected. It’s time for that to change. Holly Chessman has used her marketing and business experience to navigate mostly male waters. She's taught people how to build their reputations using online and offline tools - and now she wants you to gain that same success. Today is the day you start making the small changes you need to grow your voice and, consequently, your career. Small steps with big impact - that’s what it’s all about. Between the tips in this book and the straightforward, step-by-step exercises in each chapter, you’ll see your life change for the better. As you go through this book, you’ll learn about the Defining You methodology, the exclusive system for accelerating reputation and career growth. You’ll get the step-by-step guidance to reach your goals faster than ever. You’ll develop the means to realize the success you’ve always envisioned: Speak up in meetings. Get the raise you want. Find a job that satisfies you. Do what it takes to meet the goals that are right for YOU. Take control of your career TODAY and define the “you” you want to be. To read reviews, please visit Holly Chessman's page on iRead Book Tours. I love that I am a Vice President of Marketing, on the leadership team of my company and running my own extensive marketing team. What I don’t love, is that I’m one of a very few women who can make that claim. One of the reasons I wrote AMPLIFY: How to Grow Your Reputation And The Kickass Career You Love is because I’m ready to see that change. And if I want change to happen, sitting on my toosh isn’t going to get me there. When I wanted to see change happen in my own life, I had to set some rules for myself. Now I’m excited to share those same guidelines with others. While I go into more depth in the book, providing step-by-step instructions for how you can incorporate these rules into your life, here are a couple steps to get you going. Imagine your friend wants to try something new. She wants to ask for a promotion, go for a job she never thought she’d be qualified for, or maybe cut her hours down and go part time. What would you tell her? No way! You’d encourage her and tell her how much she deserves it! It’s time you start treating yourself the same way. Become your own supporter, showing yourself the same respect and encouragement you would if you were talking to your best friend. Don’t beat yourself up if you make mistakes along the way. Learn from them and become even better, cheering yourself on throughout the process. I know you can do it! Now you need to tell yourself that too! It’s so easy to doubt your own authority. It’s time to give that doubt the smack down! Even if you’re not yet full of confidence, there a few things you can do to get you on your way. First of all, stop adding question marks at the end of your sentences (unless you are actually asking a question, of course). Second, stop making apologies or empty justifications for making statements, asking for clarification, or presenting ideas. You’re allowed to do all that without saying you’re sorry! The more you share your opinions and ideas WITHOUT apologizing, the more people will take you seriously and the happier you will be. It takes practice to break the apology habit but I know you can succeed! Need more details on making it happen? 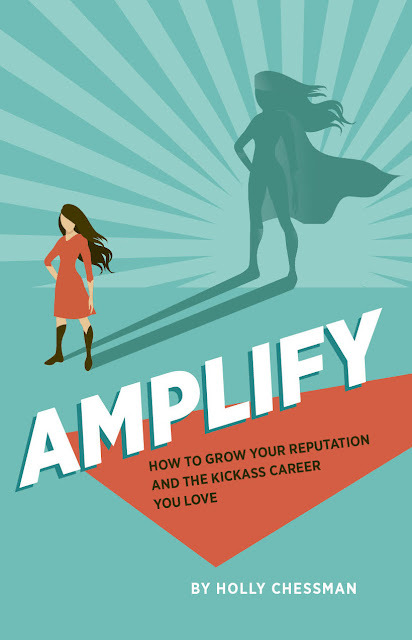 Check out AMPLIFY and you’ll find the advice you want. Together, let’s make your goals a reality! In a straightforward way, giving us step by step assistance and clear direction, followed by simple exercises and helpful examples, this book helps you stand up and be heard. While one focus of the book is about being a woman in a male dominated career, the advice presented works for any gender and all careers. "The focus of this book is figuring out what will make you happy, then finding and amplifying your voice so you can go for it"
"It's about finding a way to work with fear...and not holding yourself back because you've mentally talked yourself onto a ledge." Ms Chessman helps the reader learn how to fight those negative inner critics and create a plan of action. I have already taken her advice and begun steps to an amplified future for myself and my desired goals. Named a Top Influencer in Content and Digital Marketing, Holly Chessman fully understands the power of online engagement. As an active advocate of women in business, she is passionate about helping people develop online and offline skills to grow their careers. 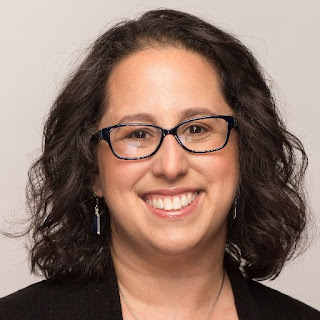 She has been a leader in B2B tech for close to 20 years, running her own business (Holly Chessman Marketing) as well as empowering businesses with the strategies they need to speed growth and build revenue. Holly is a keynote speaker and a writer, contributing to such publications as Forbes, Maximize Social Business, Social Media Examiner, and more. "Prolific author G.G. Vandagriff creates a world full of intrigue, suspense, and romance that fans of the Regency Period will adore. Vandagriff writes in a style reminiscent of Georgette Heyer." --Deseret News. When frigate Captain Buckingham Kernow-Smith encounters a sprite in a topiary garden he pulls off her stocking cap, revealing the character of “Rosalind” from As You Like It, played, in this case, by the appealing Fanny Edwards. Three years pass. The War over, Buck encounters his Rosalind at a ball, where she has developed into a notable beauty. However, her guardian confides to him that she is dancing on the very edge of propriety. Buck, who has been fighting the French since he was twelve, also finds the ton confining and sympathizes with Fanny/Rosalind’s plight as a properly reared young lady. Together, they make a dangerous pair, toeing the line between propriety and scandal. When they push their fun too far, Fanny faces ruin and the demimonde. Will Buck confide his own secrets and overcome his life-long aversion to marriage? Can there be a happily ever after for someone as headstrong and impetuous as Fanny? "Regency Romance in the style of Austen and Heyer. Love as it's meant to be written." --InDtale Magazine "